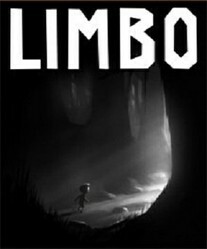 Something about Limbo really captured me and other gamers, so like many I started to hunt for games like Limbo juts after finishing the game. If you're like myself then this page will prove to be the perfect resource for you. If you're unfamiliar with Limbo the game is essentially a 2D side scrolling game that blends physics and platforming elements. You'll explore a harsh world as a boy just trying to find his sister in a dark and grim game world. The atmosphere of Limbo is definitely key to the whole experience. If you've got some other favourites that belong to this puzzle platform genre I'd love to hear from you in the comment section, so don't hesitate to reach out in the comment section. Element4l is one of the games like Limbo that I've enjoyed the most. I got a very similar vibe and feel from the game that Limbo did offer. The flow of Element4l is particularly what I enjoyed with is tied into how the gameplay works. Gameplay has you taking control of a unique character that has the power of 4 different elements which make up the puzzle and platforming aspect of the journey. The elements really do make the experience a very unique one with plenty of challenge that I enjoyed. What really separates a great puzzle platformer from a good for me though is the music as it really adds a lot to the atmosphere to me as a gamer and Element4l definitely delivers on that end. Monochroma uses three colours in it's game; black, white and a deep red. Set in a strange industrial world that reflects the 1950s you'll have to solve puzzles and platform your way through an adventure as you help your little brother. Your brother has hurt his leg and you'll have to carry him to safety. Unfortunately with his leg hurt you'll have to put him down in order to solve the puzzles before you, as a little child though he's scared of the dark which makes the game that much harder. The game only lasts about 6 or 7 hours but the entire journey is heart strung from start to end. The story is tied so closely to the puzzle elements that every step forward adds something new to the game. Grimind adds some horror elements to the gameplay and genre that Limbo brought back into the light. In Grimind you get a 2D adventure with horror, physics and platforming. These three ingredients make for a really creepy adventure that I got hooked on very quickly. Part of the atmosphere is definitely the way that the game throws you into the story with no memories, no backstory and no idea of your location. My favourite features of Grimind is really the challenge and variety that it offers. I put some of this down to the very dynamic elements of Grimind tat makes every object available for interaction. Every now and then gamers have an experience in a video game that really connects with them and one of these experiences for me was found in A Walk In the Dark. It ticked all the right boxes for me with a great challenge, strong platforming mechanics and an all around good atmosphere. It's also an indie game which I always love to support, they truly are the blood of the industry and I'm always looking for new indie games to enjoy. Taking control of a cat you'll have to travel a strange an dark world of fantasy. As a cat you'll be very agile with the ability to jump, slide, run and even bounce off surfaces. This dark adventure has plenty of traps and strange shadows that crate the ultimate eerie atmosphere. With a unique story behind the game giving you more direction than most games in the genre I really liked the entire experience. Know Any Other Great Games Like Limbo?